How to record a payment? 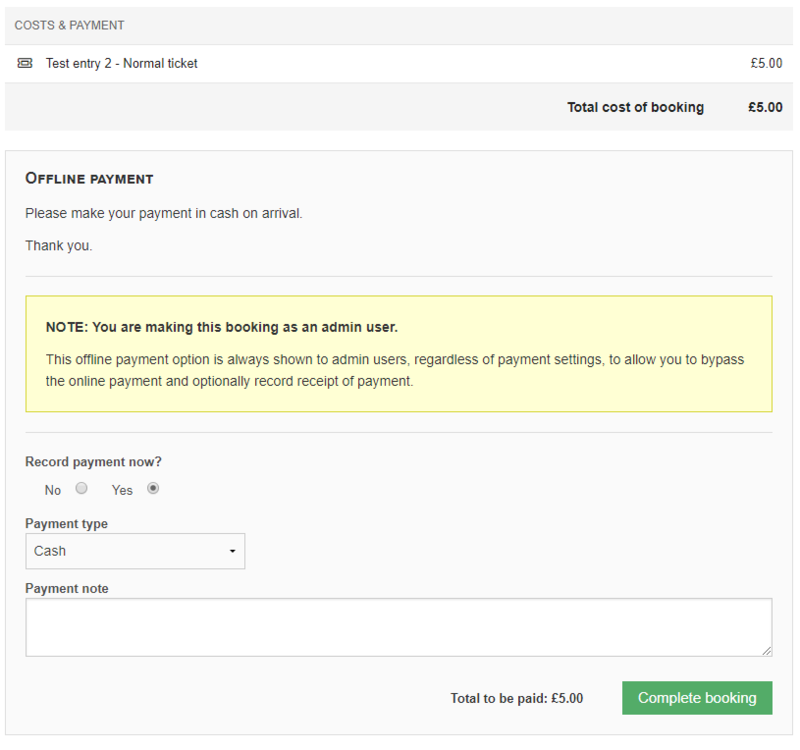 You can manually record an offline payment whilst completing a booking for a customer as an admin, or after the booking has been completed by a customer (if they have selected ‘offline payment’ at checkout). In the Bookings tab, select the relevant booking reference (a 5 digit code consisting of random letters and numbers e.g. G2YTE). Here you can enter the Amount paid, along with the Date received on, the Method by which it was paid and any Notes you may find useful when referring back to the booking later. Click on save to finish recording payment for this booking. Simply select Yes in the Record payment now field and enter a payment type and any notes you wish to include before clicking to complete booking.